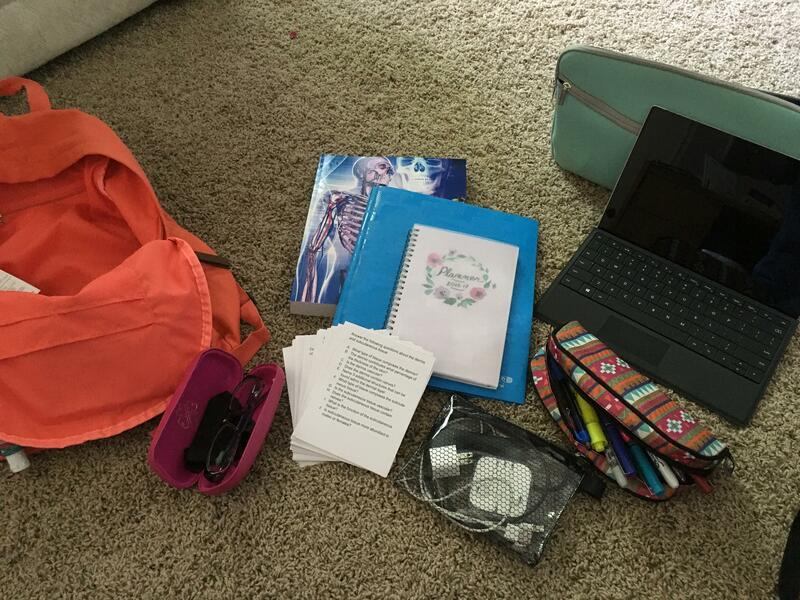 Guest Post from Jamie - What's in my Medical Bag? 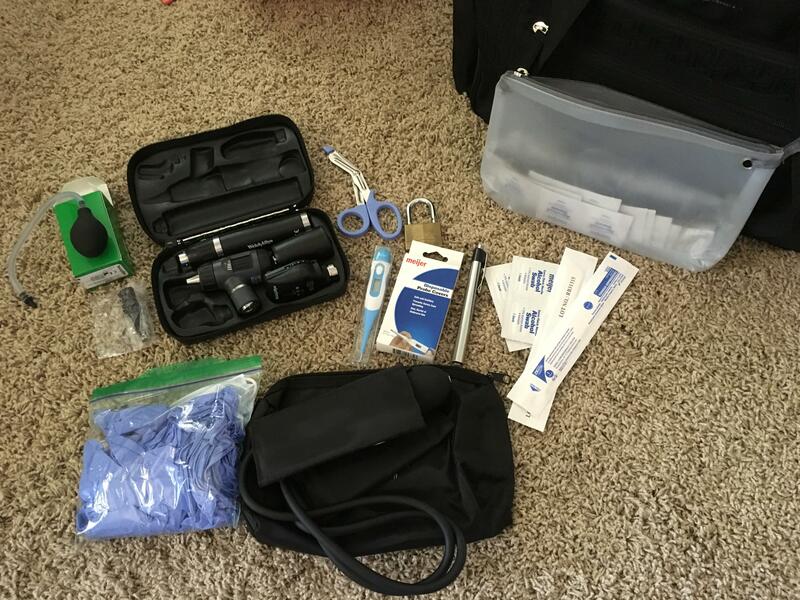 What’s in my medical bag? Firstly, I carry two bags. 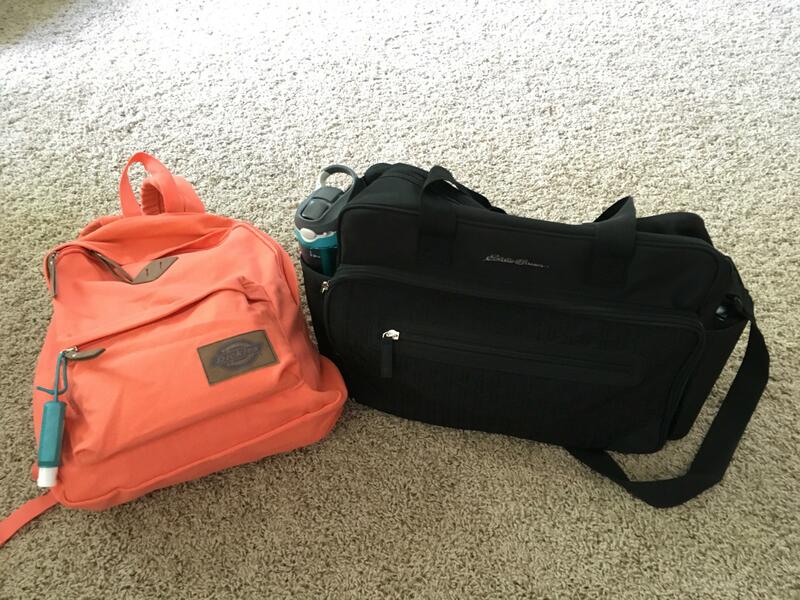 The salmon colored bag is a little backpack by Dickies and the black bag is actually a diaper bag from Eddie Bauer. The Dickies bag was ~$23 at Sears and the Eddie Bauer bag was $39.99 at Target, but I used a 10% off coupon. On the outside of the backpack, I have a hand sanitizer (just Purell). I also carry a water bottle (Contigo brand because I hate having to bite the straw) and an umbrella. Because it’s a diaper bag, these pockets are actually insulated, which I think is funny, but awesome. I don’t actually plan to carry both bags every day. I just don’t carry a purse and the med bag has stuff that I don’t really need on days like today or Wednesday when I only have one lecture. 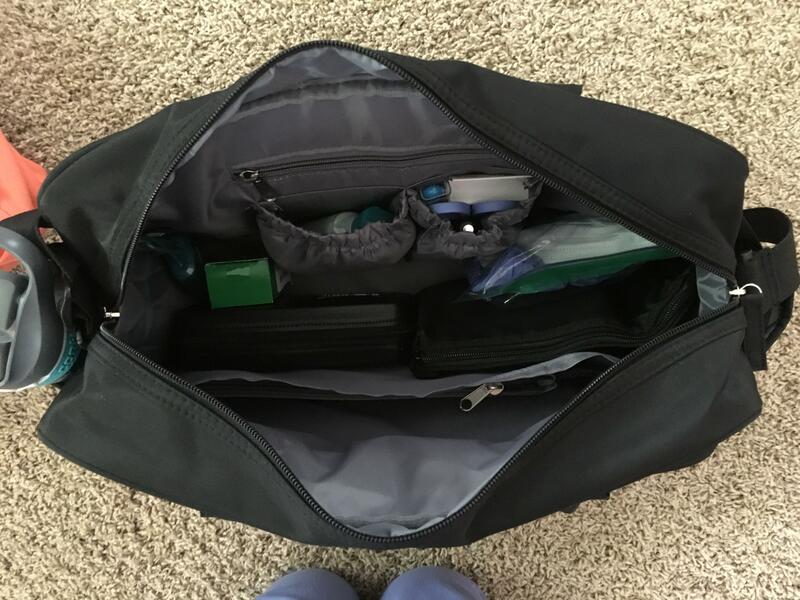 I do need the med bag on Tuesdays and Thursdays, though. 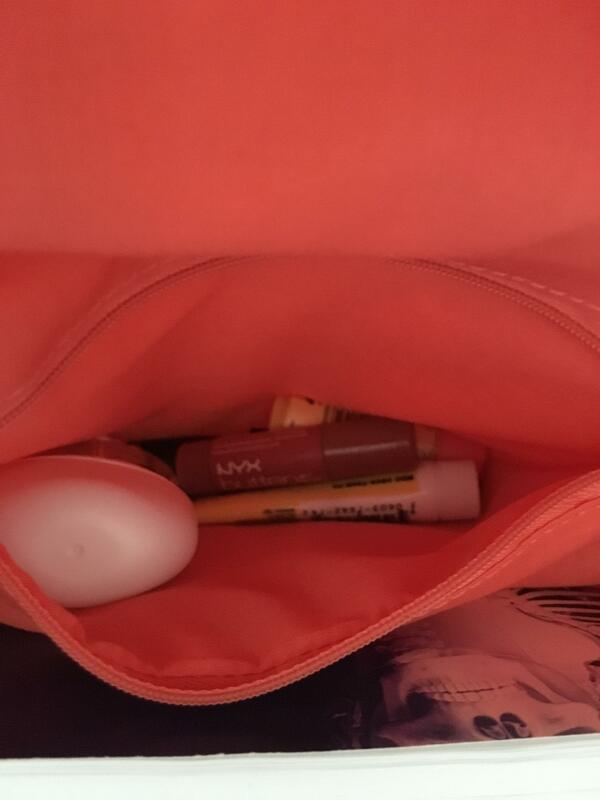 I am horrendously guilty of forgetting to put on deodorant, so I keep a little one in my bag along with some Kleenex!! Microsoft Surface 3, 128GB Internal Storage, 4GB RAM ($399.99 from Best Buy) – this for me is an absolute MUST. It is lightweight, so I can carry it easily in my bag, it can be charged with an external USB power bank if the classroom doesn’t have outlets on the table, and it has the full functional Windows 10 operating system, including Microsoft Office. I live by OneNote for my notes. I use the cloud to store everything (with hard backups, of course), but it’s SO nice to be able to pull up my lectures from my phone or tablet, or my laptop at home. I can’t suggest this enough. I just hate that you have to buy the keyboard separate, and $400 is the cheapest I’ve ever seen it. I’ve had a Surface since the initial RT, though, and I’m a fan. Microsoft Surface Pen - $44.72 – I love this puppy, but you don’t need it if you prefer typing. I like being able to handwrite things easily, but it’s definitely not for everyone. 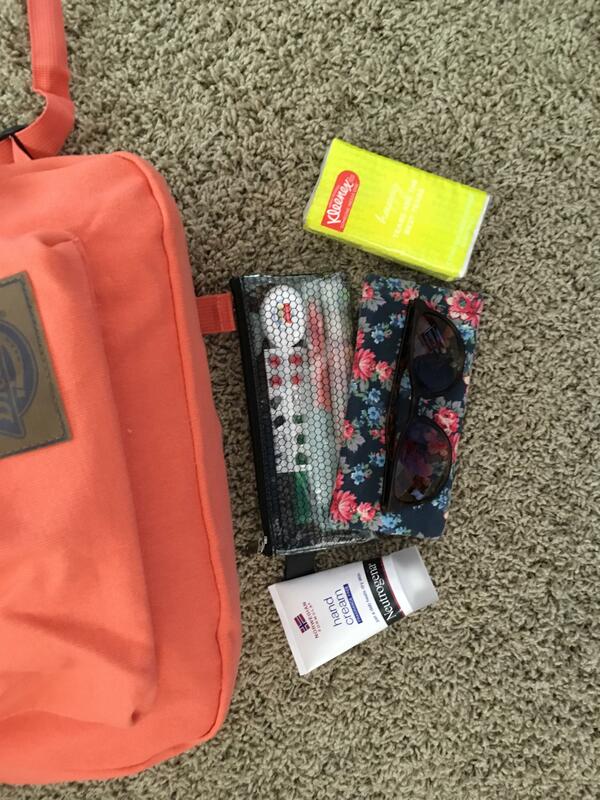 And again, super forgetful with deodorant, so my backpack gets one, too – remember, I said I don’t always have both bags? 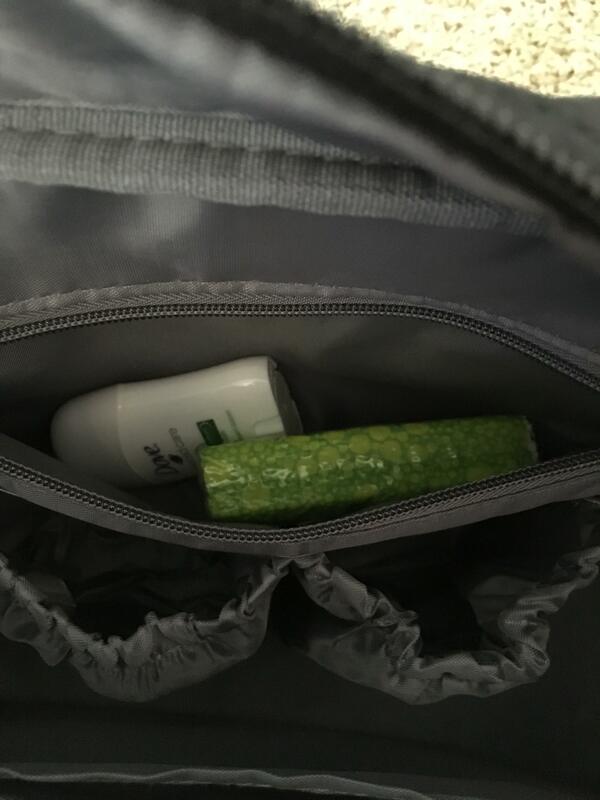 And hey… sometimes I go to the gym… Also lip balms and a prescription topical steroid cream for my hands – I have contact dermatitis that gets bad with excess glove usage. 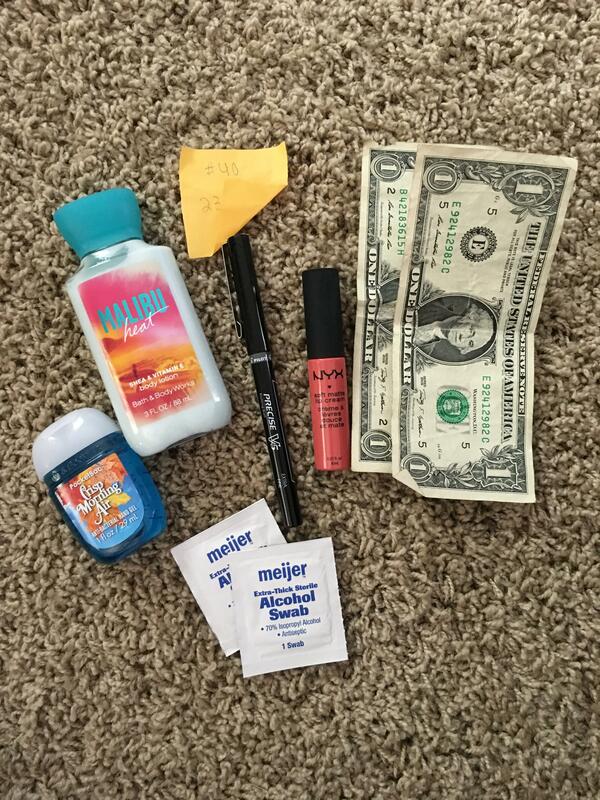 What’s in my pockets?? 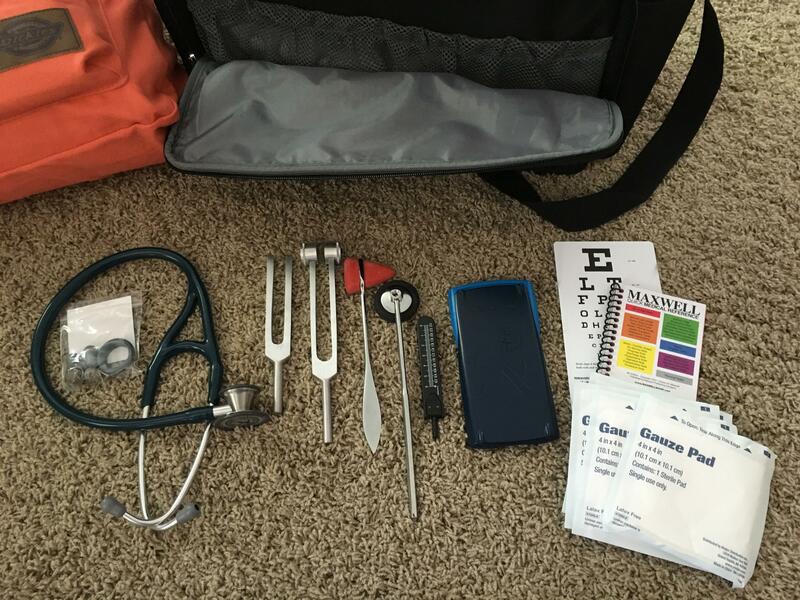 I just wore scrubs today, but this is the contents of my lab coat pockets! Lunch: turkey sandwich, peppers and carrots with hummus, grapes, cantaloupe, and strawberries, Goldfish crackers.